In an exclusive statement to Breitbart News, Pat Buchanan declared that Trump’s rise represents a rejection of 25 years of Bush Republicanism— an ideology which Buchanan says has destroyed America’s once-great manufacturing core, flooded the country with low-skilled workers, and drained the treasury with ill-advised foreign adventures in the Middle East. Pat Buchanan was the first significant presidential contender to get it right, and to do so when it still mattered. He alone among the candidates had the guts to call NAFTA a swindle. For doing so he was ostracized by Republicans and "conservatives," and suddenly branded a racist by people who used to say they were his friends. The Bush family was a key player in this character assassination. The family, its hired political thugs and its network of wealthy business pals, remain the beating heart of the Republican establishment, and it is gratifying to see their candidates humiliatingly rejected in poll after poll. Now that Jeb!, the last of the anointed sons, has been likewise rejected, I expect that all of the Bush power and money will be funneled to Marco Rubio, a gigolo without achievements or substance, whose sole marketing advantage is his ethnic background, which can be passed off as Latino, Hispanic, or whatever term of endearment is most fashionable. Donald Trump is picking up on many of Buchanan's issues, and unlike Buchanan, cannot be crushed under the Bush heel. He has billions of his own. Erratic as he may prove to be, he is currently pushing all the right buttons. But even if Trump does not self-destruct, my sense is that it is too little too late. We don't need a clown prince of real estate. We need the revivification of President James K Polk. 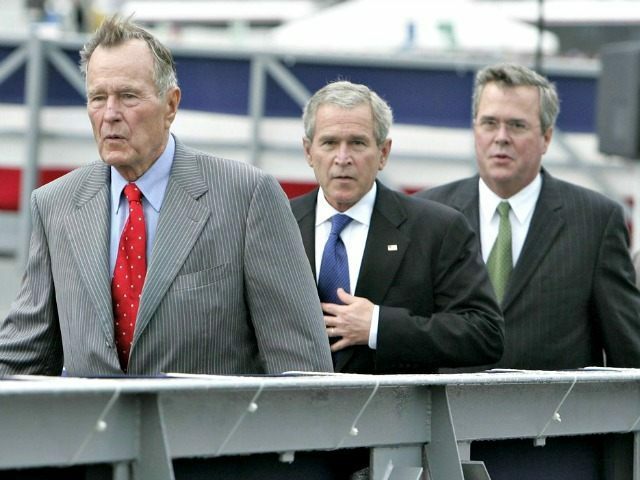 The Bush Crime Family erred wildly in letting Fredo run for POTUS before Jeb. It made hating Jeb a mere chore instead of a delight.